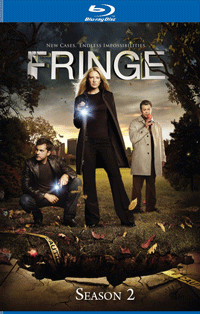 Created by J.J Abrams (the man behind Alias, and Lost), Fringe is a television drama centered around a female FBI agent (Anna Torv) who is forced to work with an institutionalised scientist in order to rationalise a brewing storm of unexplained phenomena. Teleportation. Mind control. Invisibility. Astral projection. Mutation. Reanimation. 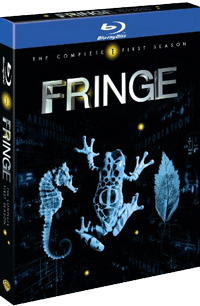 Phenomena that exist on the Fringe of science unleash their strange powers in this thrilling series, co-created by J.J. Abrams (Lost, Alias), combining the grit of the police procedural with the excitement of the unknown. The story revolves around three unlikely colleagues � a beautiful young FBI agent, a brilliant scientist who�s spent the last 17 years in a mental institution and the scientist�s sardonic son � who investigate a series of bizarre deaths and disasters known as �the pattern.� Someone is using our world as an experimental lab. And all clues lead to Massive Dynamic, a shadowy global corporation that may be more powerful than any nation.